September 7, 2012 January 23, 2015 / Julie Brook, Esq. The courts are often asked to consider evidence based on cutting edge science and technology, but how is a court to know whether the evidence is sufficiently reliable to make it admissible? That’s where the 3-pronged Kelly rule comes into play. When a novel scientific technique is potentially being used as evidence in your case, gear up for a Kelly hearing. Before evidence of a new or novel scientific technique, procedure, or device can be admitted in evidence in California courts, the proffering party must meet the requirements of a three-pronged Kelly rule, formerly known as the “Kelly/Frye” rule. The evidence’s proponent must show that correct scientific procedures were used in the particular case. In a Kelly hearing, the novel scientific evidence’s proponent bears the burden of proof; the proponent must present opinion evidence from a qualified expert showing that the evidence is generally accepted in the relevant scientific community and that proper procedures were used. The proponent must also lay a proper foundation showing the accuracy of any scientific or mechanical instrument used in the test, and that the instrument was properly operated or the procedure was properly conducted. Of course, the opposing side will try to poke holes into each of the proponent’s assertions. With the speed of changing technology, novel scientific issues are more often an integral part of lawsuits. This means that Kelly hearings will be increasingly common. 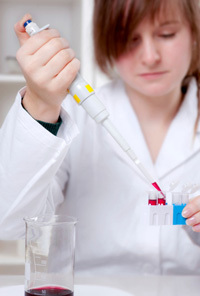 Several types of scientific evidence issues are covered in CEB’s Scientific Evidence and Expert Testimony in California. For a list of scientific techniques that have passed the Kelly rule test and those that did not, check out CEB’s California Trial Objections §20.13. On using expert witnesses to meet the Kelly rule test, turn to CEB’s California Expert Witness Guide, chap 4. Surprise! Daubert Applies to California Expert Testimony! Did Unreliable DNA Evidence Convict an American Student of Murder in Italy? Hi, Julie. Trust this message finds you well and in good spirit. With regard to this recent blog, I am writing to request your permission to have this article sent to some of our attorneys in my office (Imai, Tadlock, Keeney & Cordery, LLP, San Francisco) as I find it very helpful. I plan to share this article of yours via my office e-mail, and perhaps add this also to my local association, the San Francisco Legal Professionals Association (SFLPA), monthly newsletter, under my column, Legal Procedures, of which I am currently the Chairman. With regard to my employer, we do a lot trial work before the California Superior Courts. Would you be so kind to let me know if this is acceptable to publish, which will include your permission and copyright authorization. CONFIDENTIALITY STATEMENT This message contains PRIVILEGED and CONFIDENTIAL information that is intended only for use by the named recipient(s). If you are not the named recipient(s), any disclosure, dissemination, or action based on the contents of this message is prohibited. In such case please notify me and destroy and delete all copies of this transmission. Thank you. Hi Ryan. I am so glad you found this blog post helpful and want to share it! We’d love for you to share it with your colleagues — you can simply email them the url.